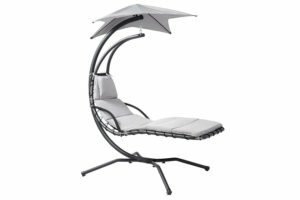 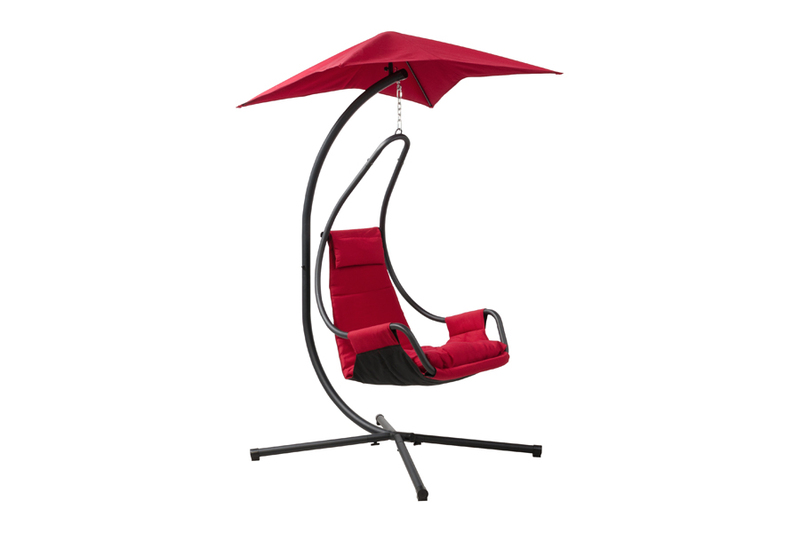 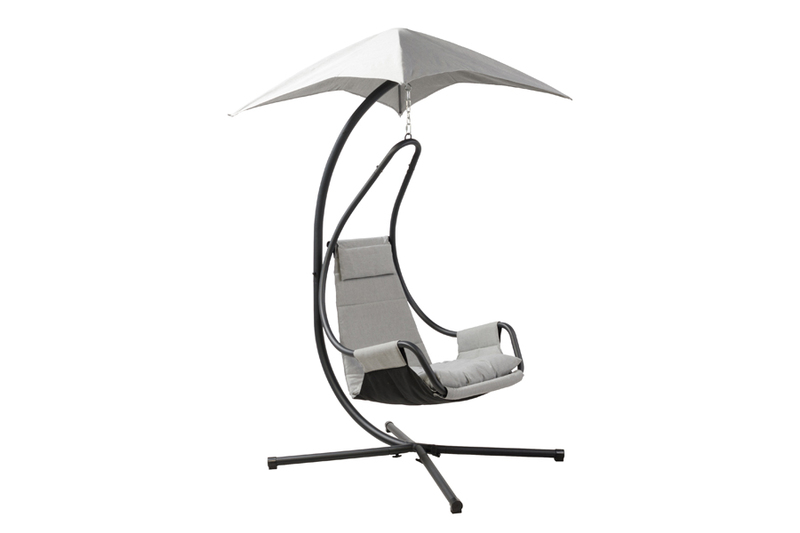 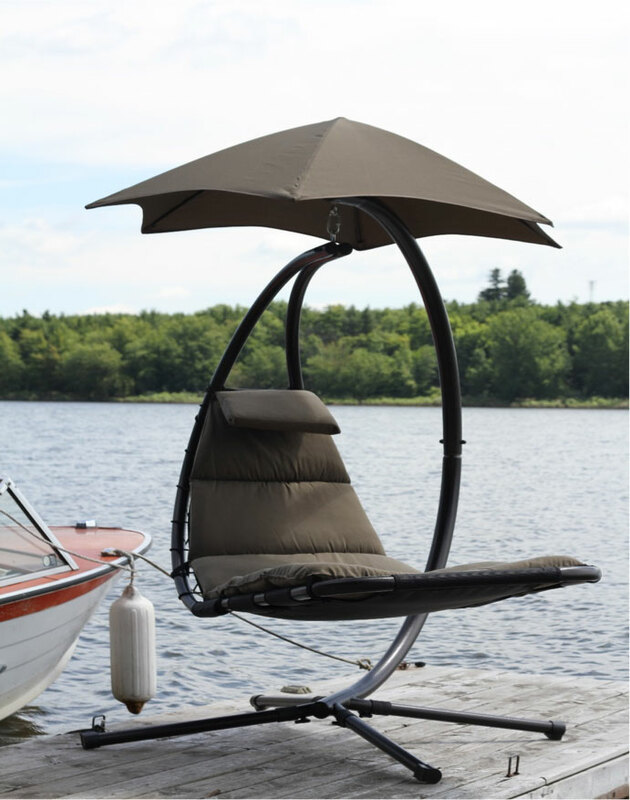 True to their, the Suspension Chairs collection gives you the feeling of floating on a cloud right in the comfort of your own backyard. 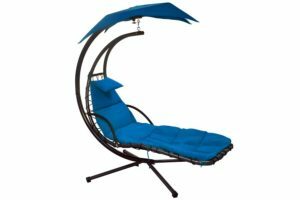 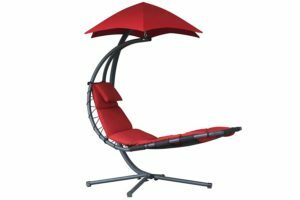 These incredible suspension chairs incorporate modern design and ultimate relaxation to provide a unique experience your friends and family will love. Polyester filled cushions offer a soft and comfy area to kick back and read a book, or cozy up with a loved one. In case it gets too sunny, these chairs come equipped with an overhead canopy for sun protection. 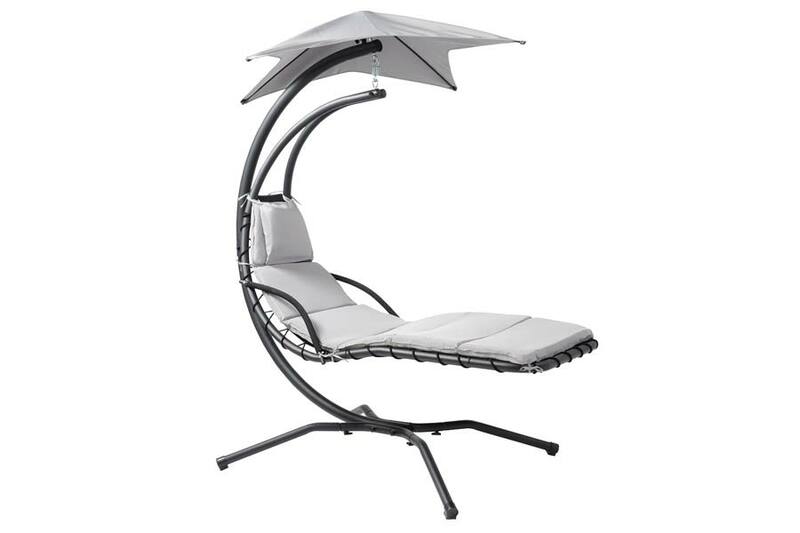 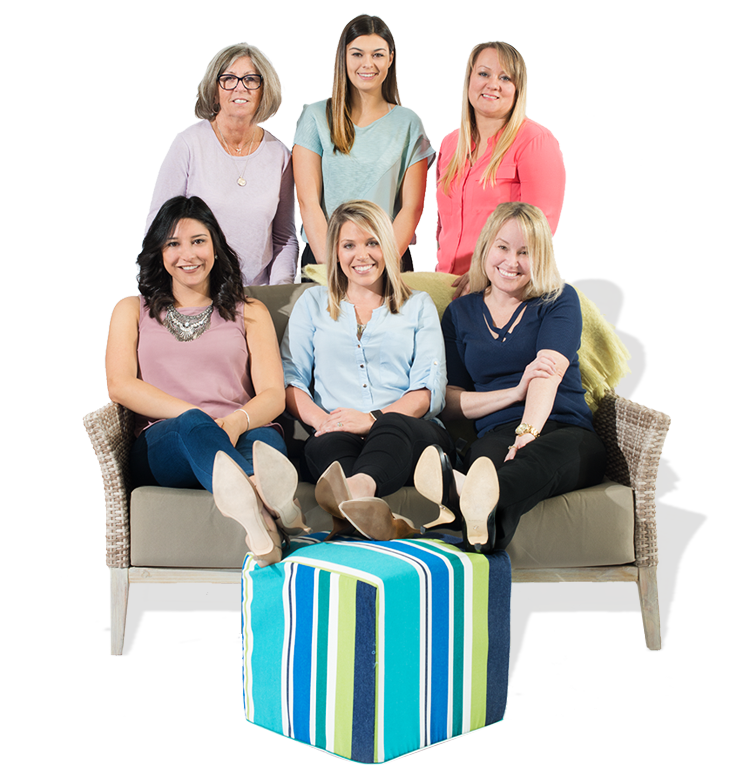 Sturdy four prong leg bases and rubber feet ensure that your relaxation isn’t disturbed, while the colour options allow you to pair these modern pieces with any backyard style.